The famous Canalobre caves, or in English, Candelabra Caves, are located about 3 kilometres from the village of Busot, on the slopes of the golden hill, at a height of 700 metres. 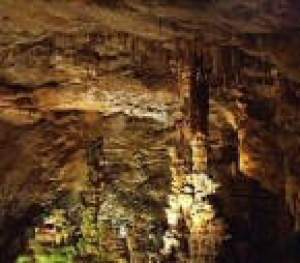 They comprise a spectacular cavern with curious limestone formations that are quite awe inspiring, and indeed, many of the formations resemble candelabras, as suggested by the name given to the cave. Busot is a tiny village in the Marina Baixa that is situated within sight of the sierra known as the Cabeço d’ Or (Golden Hill). The landscape is dry, scorched and jagged and only the traditional dry-crops can be grown upon it. Today most of the village’s inhabitants are involved in tourism and the service sector. It is a small village with approximately 1,500 inhabitants whose houses are grouped around a hill topped by a 12th-century Moorish castle. The ruined castle formed part of the Alicante’s medieval defensive system. Busot is fairly well signposted and can be found 24 kms from Alicante and 40 km from Benidorm, sitting in a vast and beautiful wilderness, pleasingly lacking in cranes and disruptive building works that seem to appear almost everywhere else along the coast. This is what makes a drive to Busot such a refreshing day out – just a few kilometres inland and it feels as though one has travelled to the heart of a wild and natural Spain. The famous Canalobre Caves or in English, Candelabra Caves, are located about 3 kilometres from the village, on the slopes of the golden hill, at a height of 700 metres. The drive up to the caves’ entrance is well signposted, and the views are stunning as the boundless arid countryside stretches out as far as the eye can see below. Endless rows of craggy mountains complete the picturesque views, and are at their most spectacular as the Autumn sun sets amid piercing golden rays, and sinks slowly behind the pointed distant peaks. 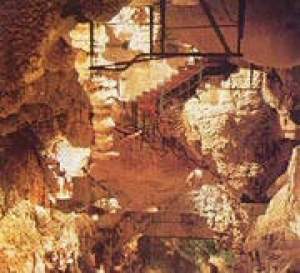 The entrance to the Costa Blanca Busot Caves is along an artificial tunnel leading directly to a balcony overlooking a large inner gallery. This gallery reaches 45 metres in height, 45 metres in length and is 35 metres wide. The acoustics of the Costa Blanca Busot Caves are excellent and concerts have been held in this area, set upon the specially designed stage that is still present. The guide will then proceed along the set route, careful to point out where the floor boarding is loose! 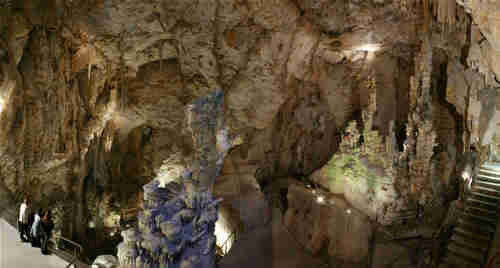 For 175 metres the route twists and winds around the Costa Blanca Busot Caves, allowing the visitor the most impressive views of the myriad of unusual shapes formed by the thousands of stalactites and stalagmites, formed over millions of years by dripping water containing sediments that slowly build up into columns. It is here Costa Blanca that the imagination runs wild, as at every turn there is a face, a castle, a dragon, all carefully lit with an artistic use of lamps. In addition to the stalactites and stalagmites, there are also helictites, a lesser-known element of such caves, that form delicately along the walls. Also, slimy looking formations created by running water cling, like mossy aliens to the cave walls, these are known as ‘flowstone’ and do indeed give the appearance of fluid stone. Costa Blanca Walks and Car Tours (Landscapes Series). Explore the Costa Blanca by car: the drives lead through fertile valleys smothered in blossom or sweet-scented fruit to delightful inland villages. Windmills, waterfalls and ‘snow wells’ feature among the picnic settings. But the rugged silhouettes of the area’s many sierras dominate this landscape – an irresistible attraction for walkers. This pocket-sized guide describes car tours, picnic places and walks throughout the Costa Blanca. There is a fold-out touring map for motorists, which also highlights the various walking areas. For those without a car, there are timetables for local transport. The Canelobre Caves history is a long one. Formed in limestone rock approximately 150 million years ago, sometime during the late Jurassic and early Cretaceous periods, their formation is related to the underground forces that helped to form the whole area. The main vaulted area of the cave is one of the largest in Spain, and from the ceiling stalactites of up to 12 metres hang down directly above their corresponding stalagmites. Life in the cave is minimal, although there are small colonies of cynobacteria, algae, fungi, mould and even a small colony of bats. The all year round temperature of 18 degrees Celsius helps to ensure their survival. 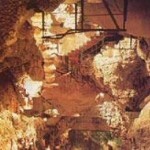 The Costa Blanca Busot Cave s have also been used by humans over the years, and their discovery is thought to have been by mining prospectors during the Moorish occupation. The Arabs themselves are said to have used the caves for shelter, and later, during the Spanish Civil War, they were used as a protected place in which to repair aircraft engines. 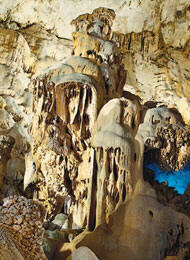 From the mid 19th century the caves have been visited by tourists, and are still as popular as ever with visitors. The area of Busot provides another attraction for the visitor. A short hiking route ascends from the Costa Blanca Busot Caves to an exceptional look out point, and passes by a quaint farmstead known as Casa de Polset, continuing along past ancient mines. The mountain also has two areas classified as micro-reserves containing protected species of interest to anyone with knowledge of the local flora. Costa Blanca Busot should not be visited without a camera. Luckily, they are open all year round, so the summertime tourist buses can be avoided by visiting now. From October 1 to June 20 the opening times are from 11.00 – 17.50. Easter week from 10.30 – 19.50, and for the remainder of the year from 10.30 – 19.50, closed only on December 25 and January 1. 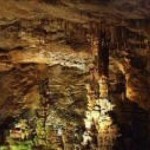 For more information about the Canelobre Caves. Barbershop Singing in Busot Caves Alicante. Torrevieja Barbershop Harmony, Torrevieja Costa Blanca Busot. 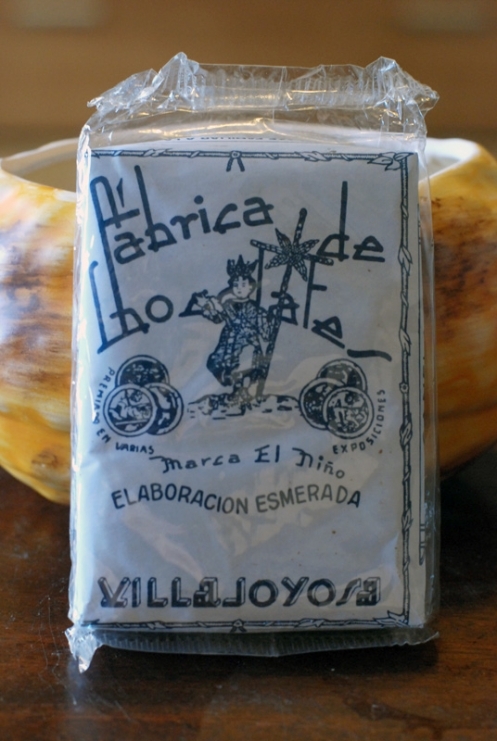 The Choclate factory at Villajoyosa is well worth a visit if in the Busot area. 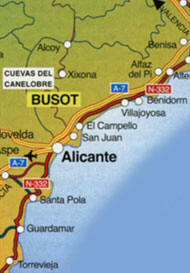 Driving it is a little above Alicante at Busot,. Best to come off the A7 IN Alicante onto the N340 then after a short distance turn onto the CV 773 Which is signposted Busot. Hope that helps. Caves of Canelobre at Busot. Costa Blanca – Costa Blanca Busot.